Discussion in 'The South' started by Wendell Hatton, Dec 19, 2012. Hey guys, it's Wendell. I'm trying to get plans put together for a weekend ride on January 5th and 6th staying the night at Windrock Lodge on the 5th. I just called Windrock Lodge and they still have units 1 (1-8 people $165 a night) and units 2 (8-13 people $300 a night) available. It would be great if we can get everyone to split the cost of this. They guy I've been talking to said he could give us a break on the cost. So who's in? I need to know so I can make reservations. Sounds like a plan amigo. I'm game, but not sure my truck is willing to shuttle again... Unless the turnout is pretty thin. i still wanna try a trip to windrock before the 20th. Wendell has unit 2 reserved for Sat night and there is still room for more people. Get in contact with him and come on out for two days of Windrock fun. Since Rocklobster is not telling us which trails or parts of trails the race will be on, it would be a good idea to get in as many runs as possible on all the different trails. yeah man just let me know whats going on i would prob get in on that trip. im pretty sure clealan just said what going on, you should plan on heading to windrock saturday the 5th, and then if you want to stay the night PM Wendell Hatton as seen above to confirm there is still room. yeah i saw that man and i tried to PM him but nothing....figured id post on here again. just dont really wanna be there my first time without someone who has been before. Hey guys, sorry I actually forgot about this forum. We still have room available for over night stay on the 5th. Plan is check in change and go ride sometime around 11 am that Saturday from the upper parking lot. We can all meet there. Bump....who's going? Who's staying for both days? Just Sunday here. What time you guys going to start on Sunday. Normal 10 or earlier? Any idea on what conditions might be like for this weekend? I was thinking of coming down, but don't want to ride in the mud. It shouldnt be muddy. Last rain was yesterday, so by this weekend it is gonna be great! Here is a sneak peak at some of the work I did, a lot of other small things and one more bigger thing was accomplished today. You all will have an opportunity to ride it before me since I probably wont be out there Saturday! 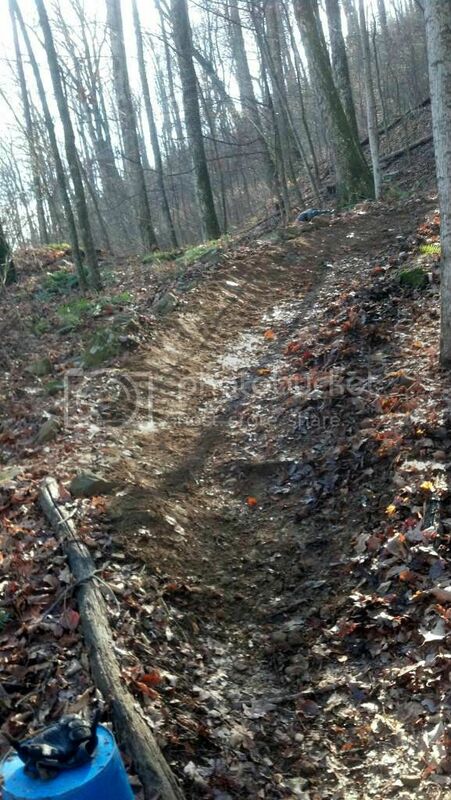 Well it looks like it's not muddy, is that the 2nd berm below the road gap? Someone knows their Windrock very well! Muy bueno. For that you deserve a beer. Man I wish I could trust my car. I'd get in it right now and start driving. 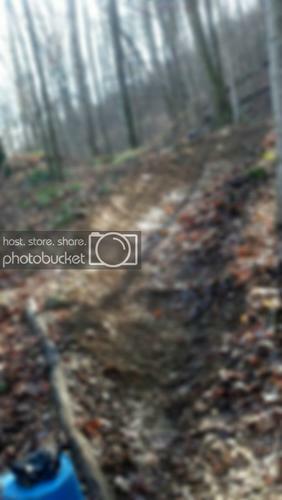 I really need to stay off Pinkbike and stay on here more!!!! !